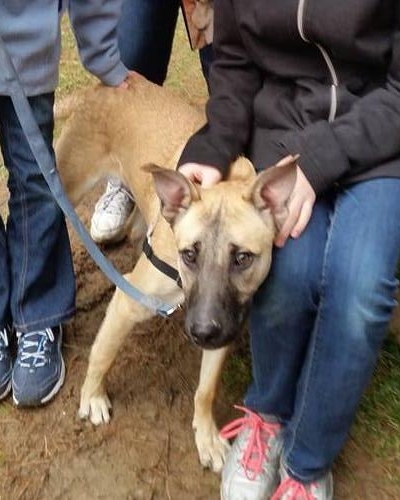 Tucker, is a 2 year old Belgian Shepherd Malinois mix who came to Baltimore County as a stray. He is neutered, microchipped, fully vaccinated, and has tested negative for heartworms. He reportedly came in fearful and shy, but warms up a great deal after meeting new people. Tucker is a playful guy, who walks very well on a leash.